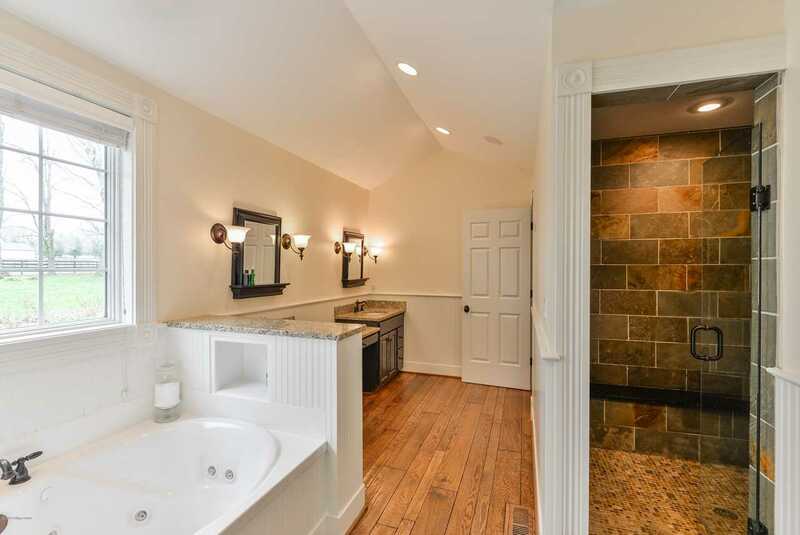 5 Bedrooms | 4 Baths | 4423 Sq. 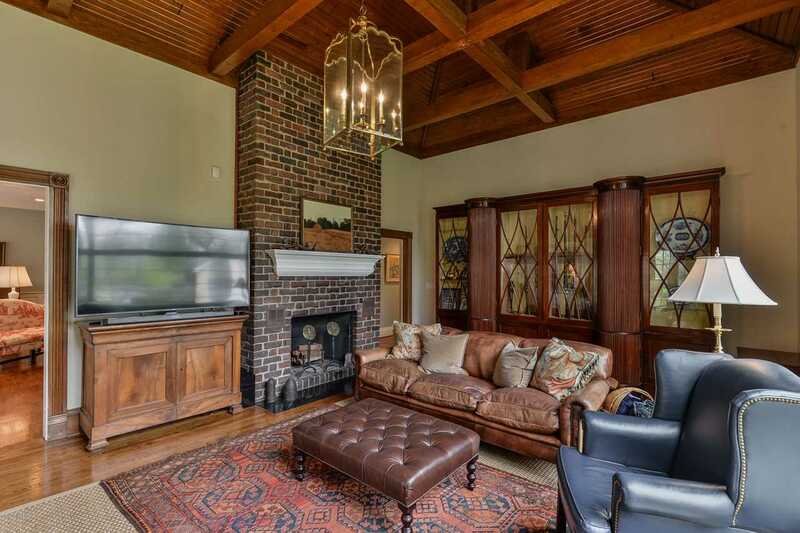 Ft.
On over 4 picturesque acres in the Anchorage School District, this property is steeped in Anchorage's rich and storied past. 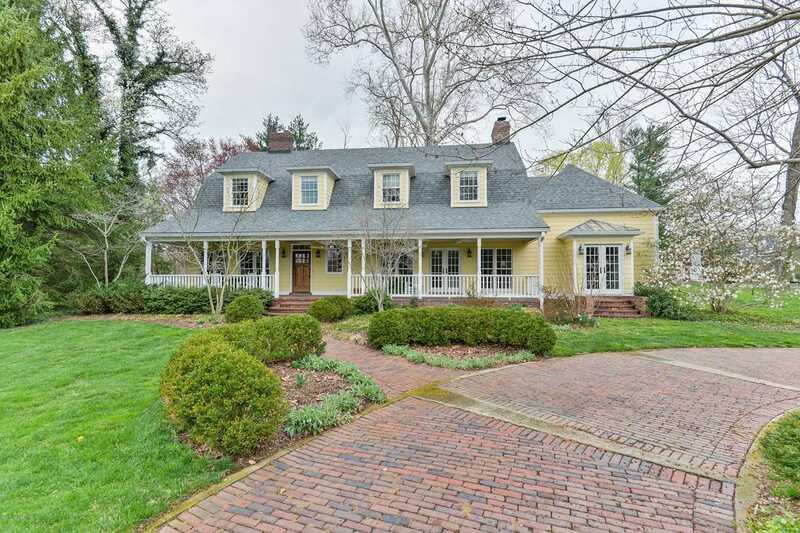 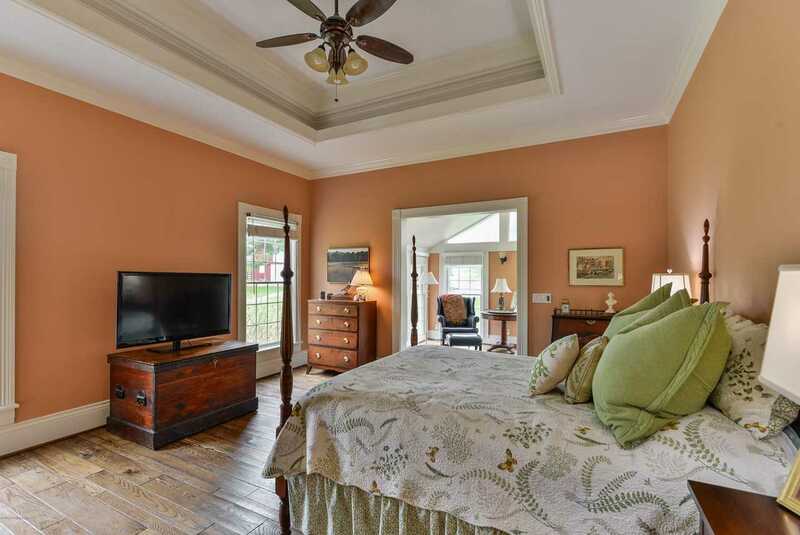 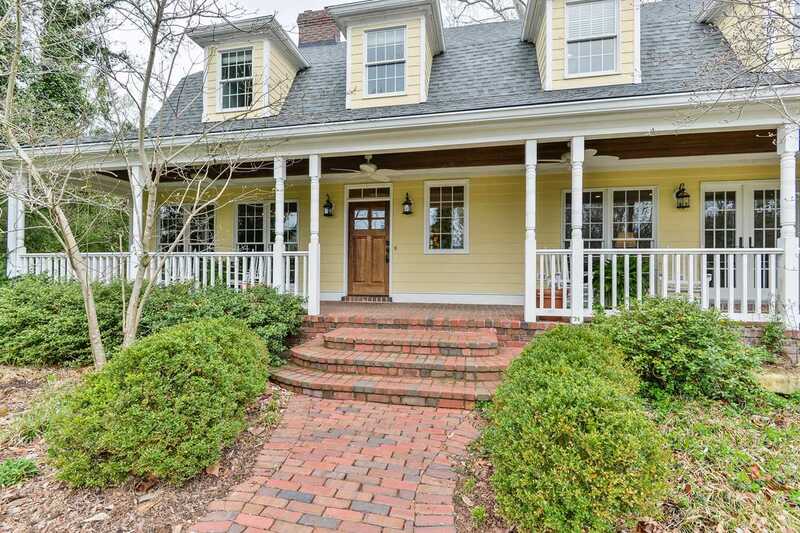 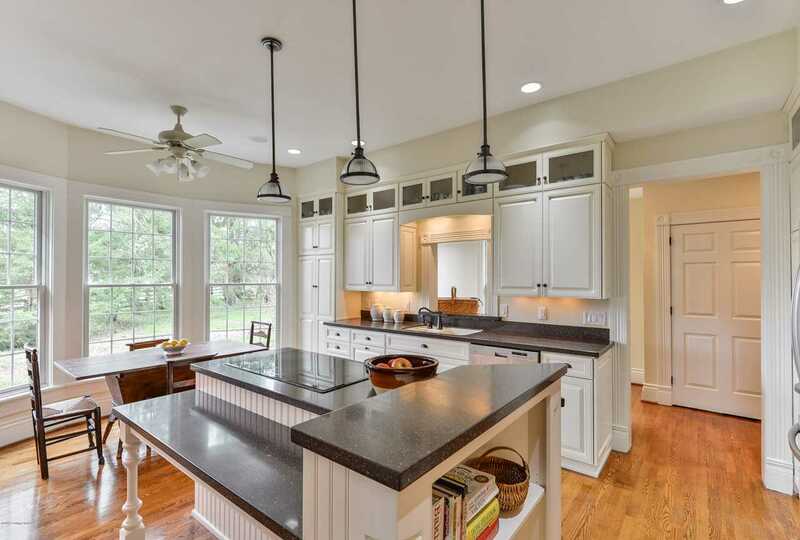 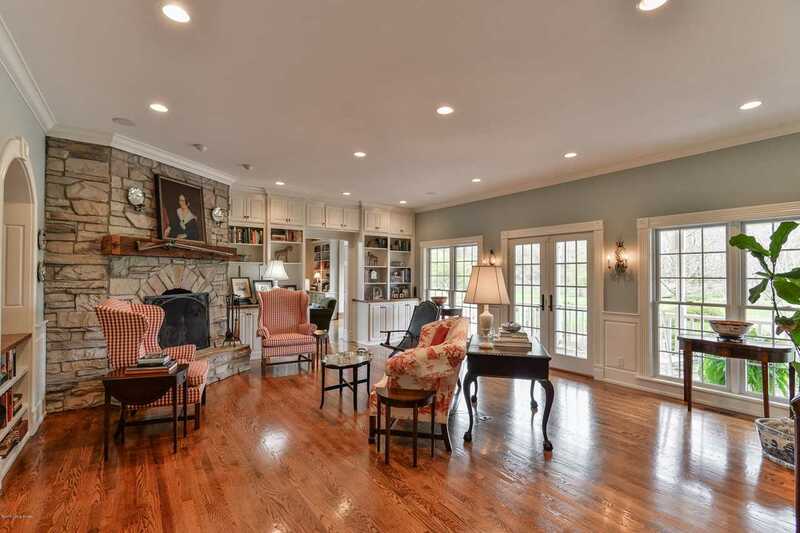 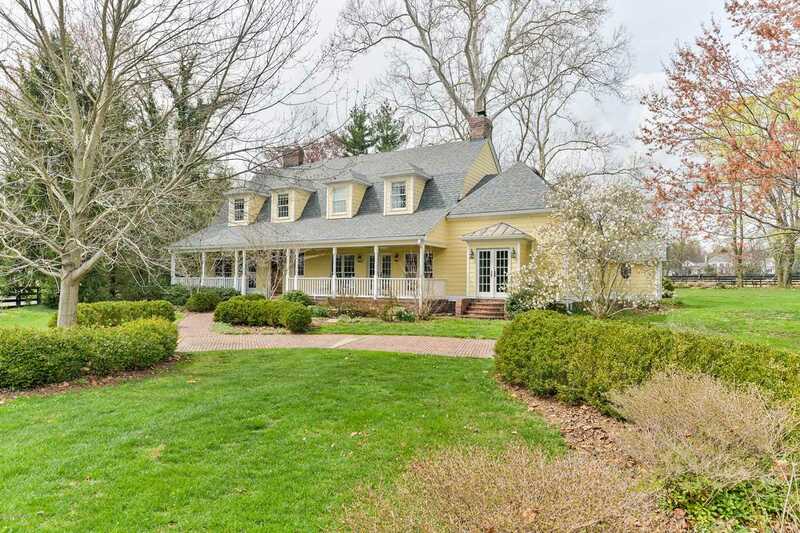 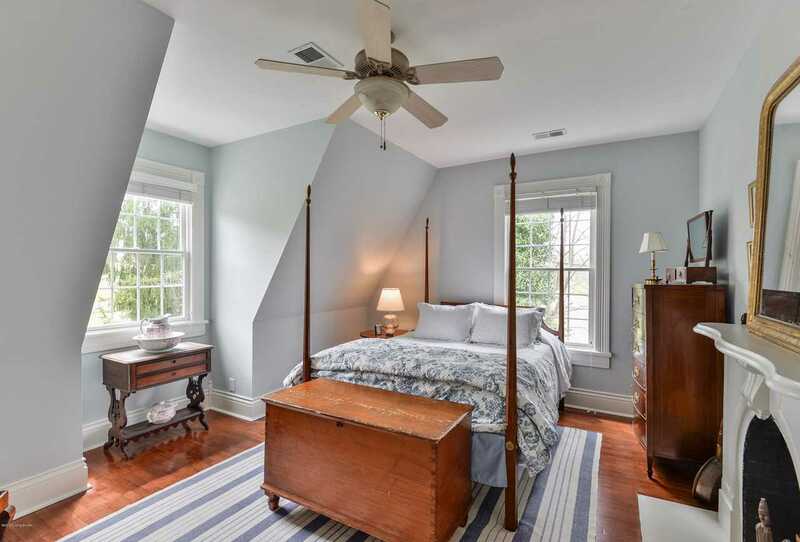 This Southern Colonial farmhouse showcases exceptional quality, character and architecture. 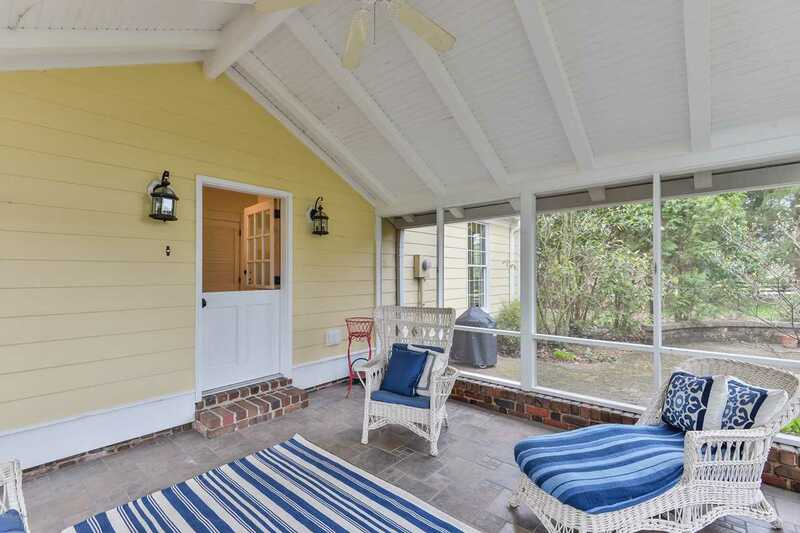 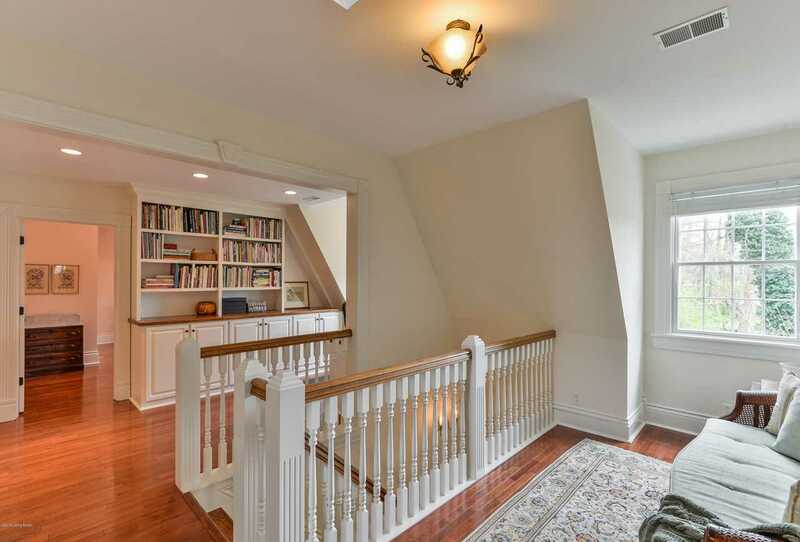 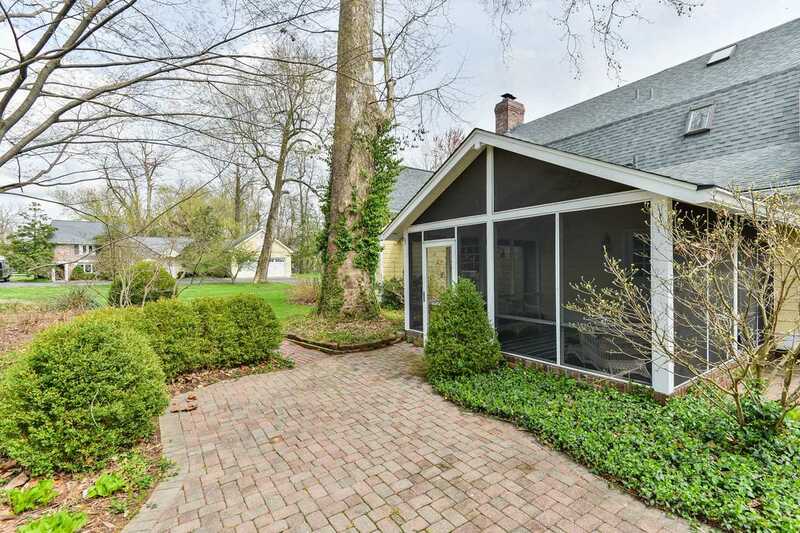 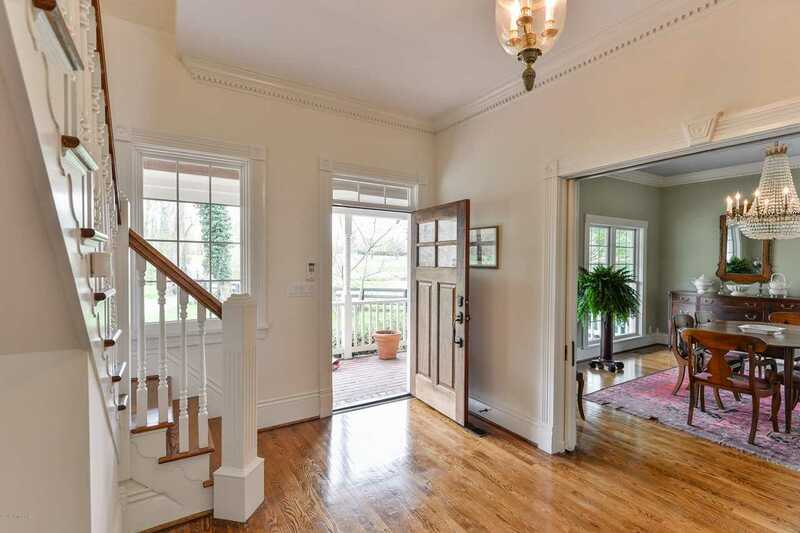 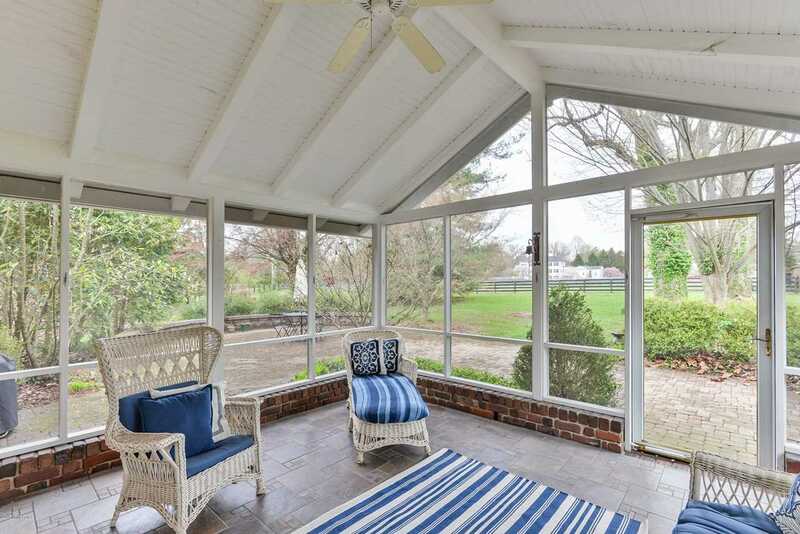 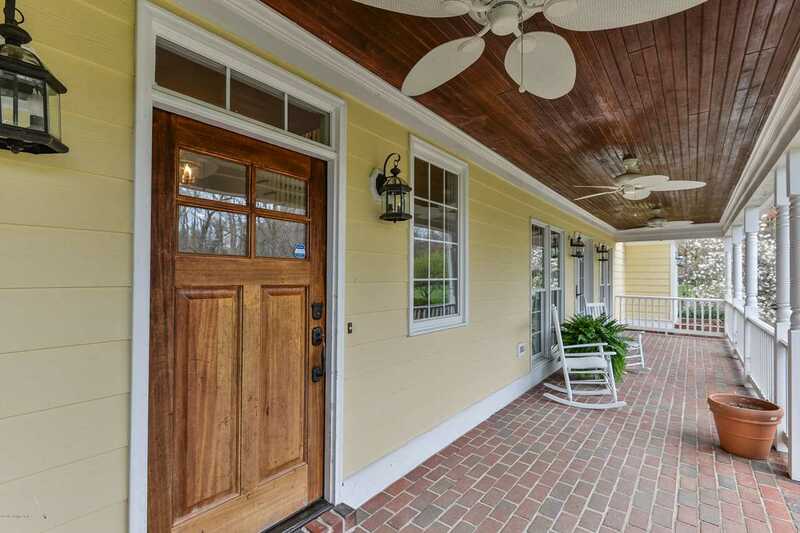 Its large front porch offers casual elegance and nods to yesteryear. 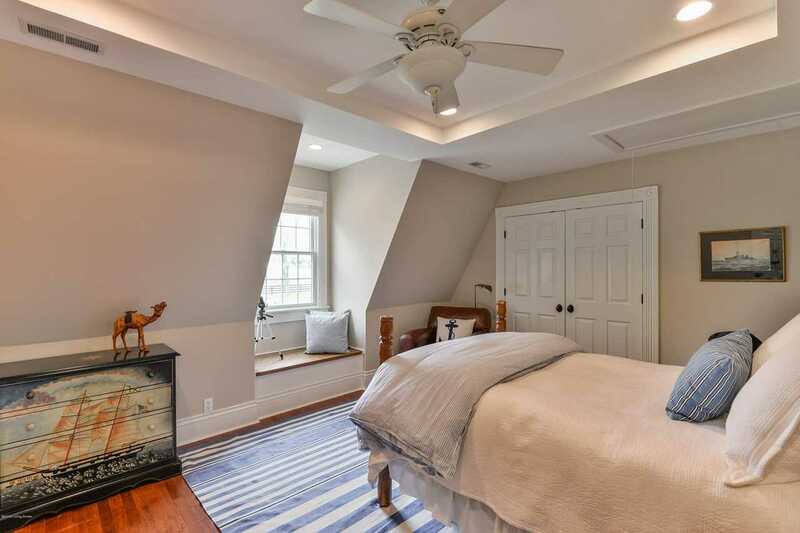 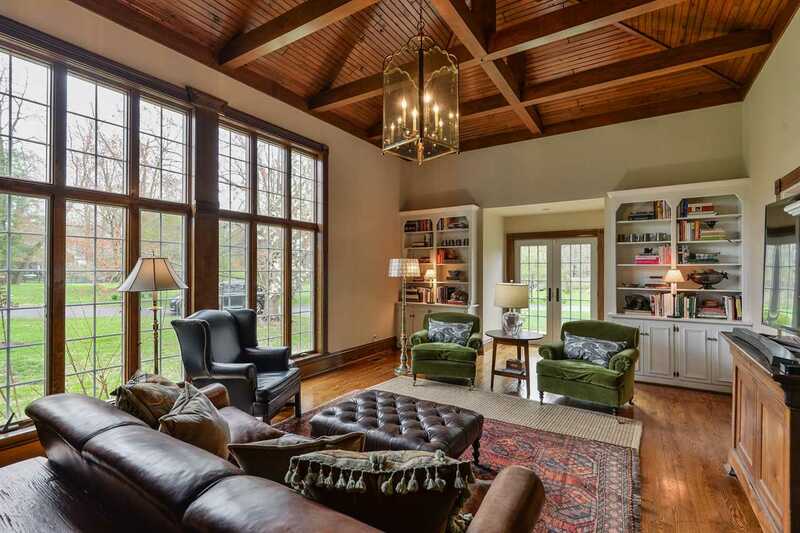 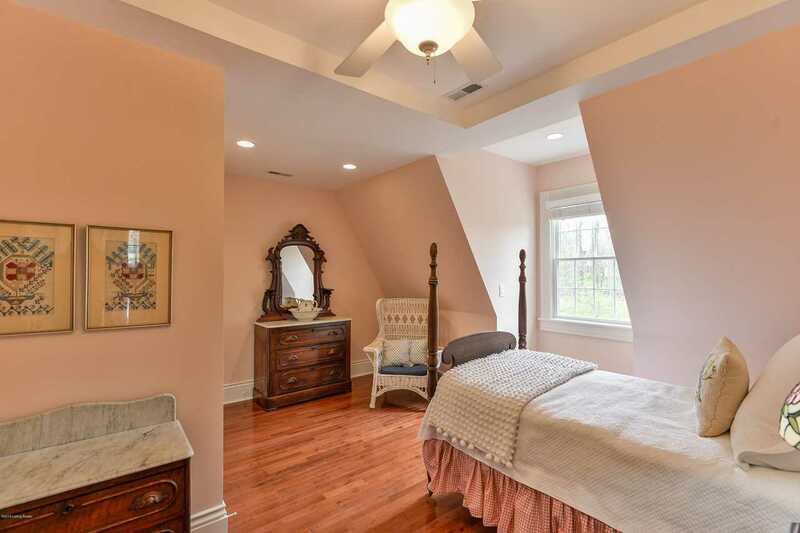 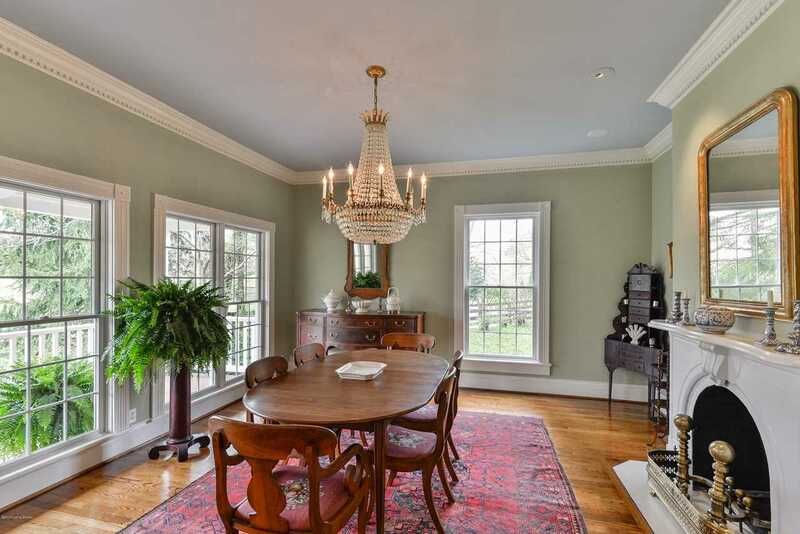 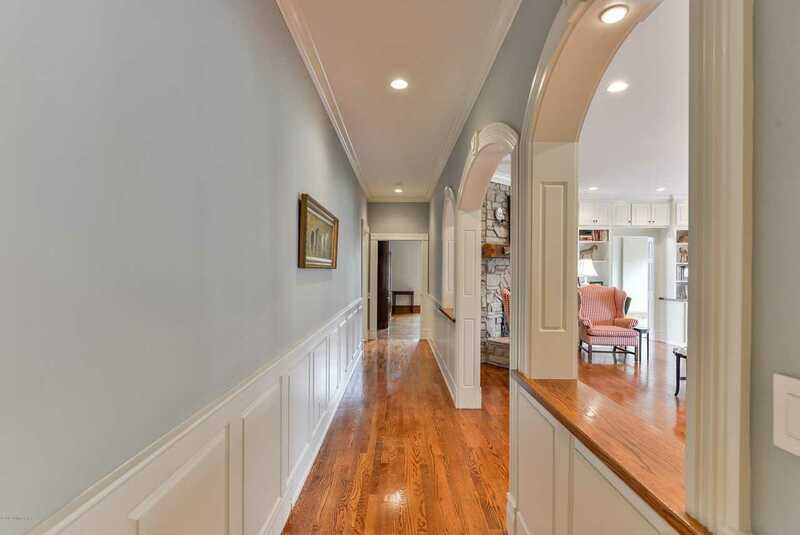 Impeccably preserved and well maintained, with ten foot ceilings, detailed moldings, exquisitely crafted millwork, beautiful hardwood flooring and handsome lighting, this home offers the best of time honored tradition with modern grace. 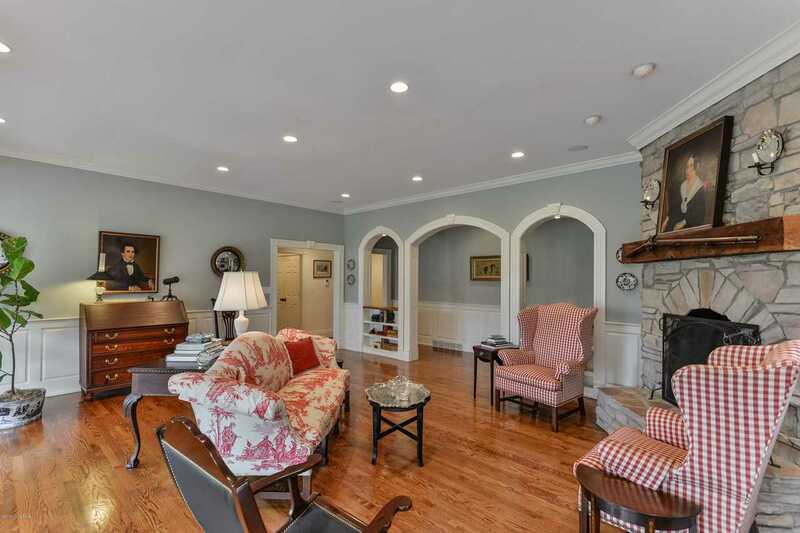 A dramatic vaulted family room creates an inviting study or cozy retreat and the formal living room's stone fireplace is a lovely focal point of the room. 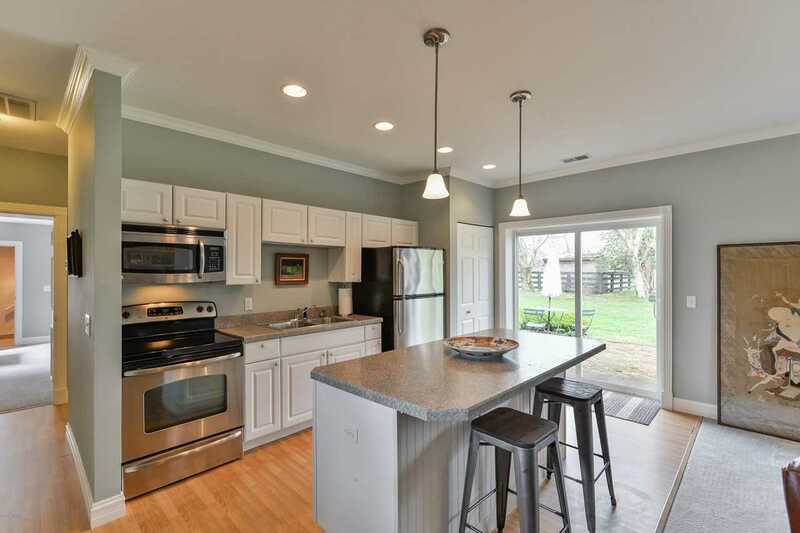 The gorgeous eat-in kitchen has custom cabinetry and granite countertops with high end appliances. 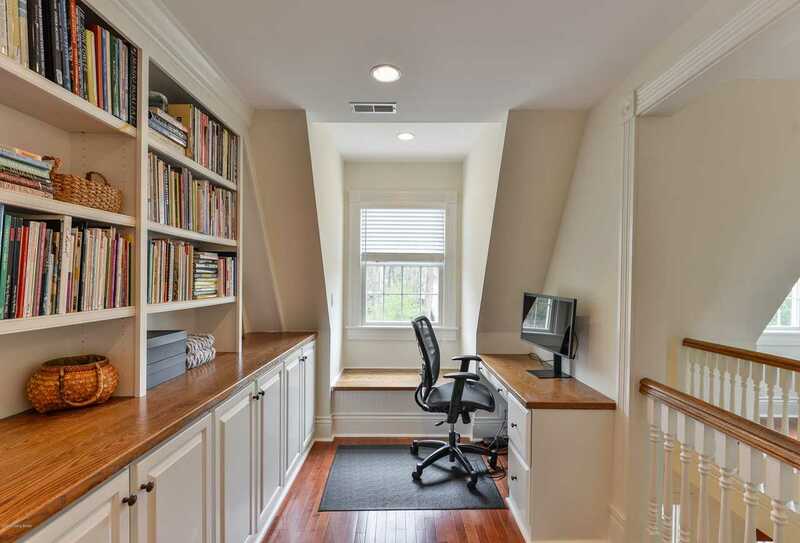 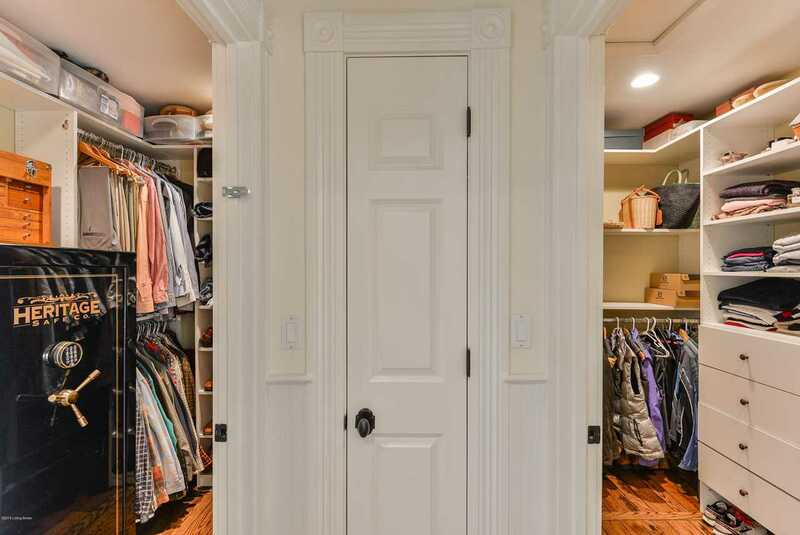 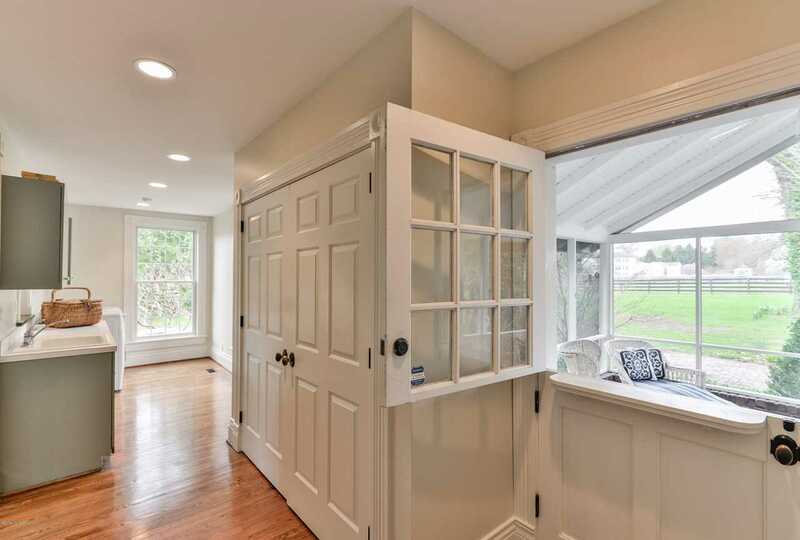 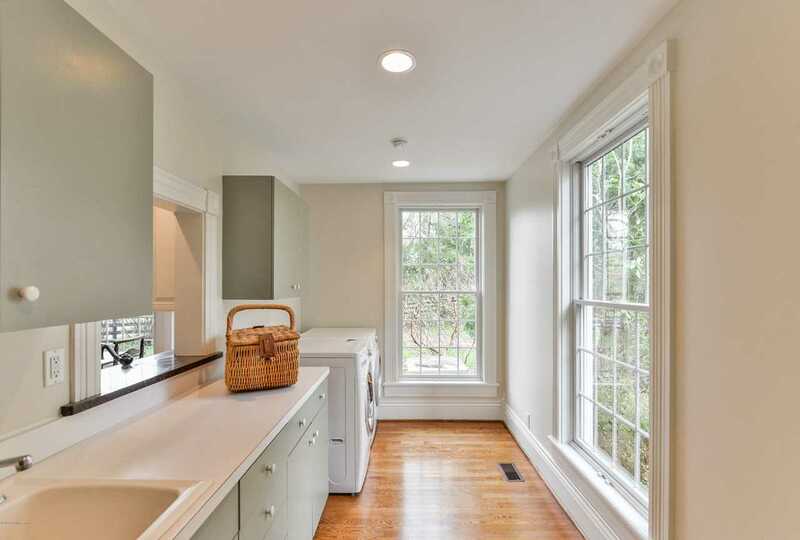 The first floor laundry room has abundant storage and a dutch door that leads to a covered screened-in patio adds charm and character to the space. 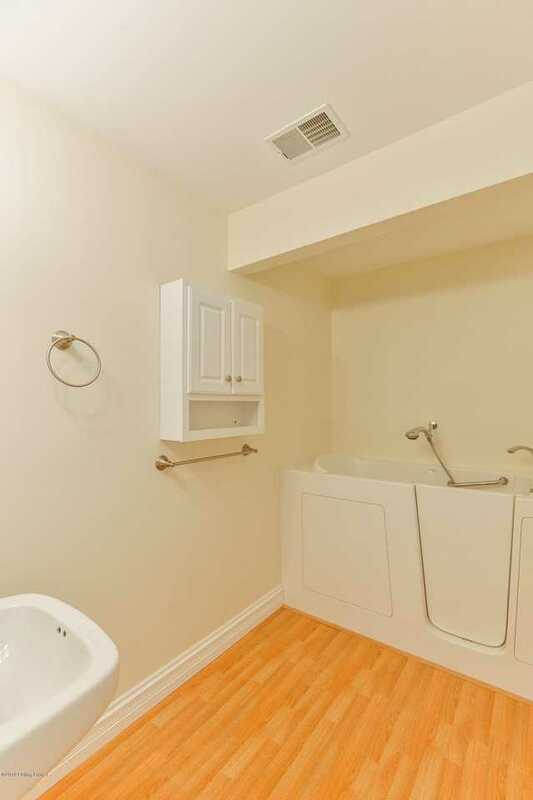 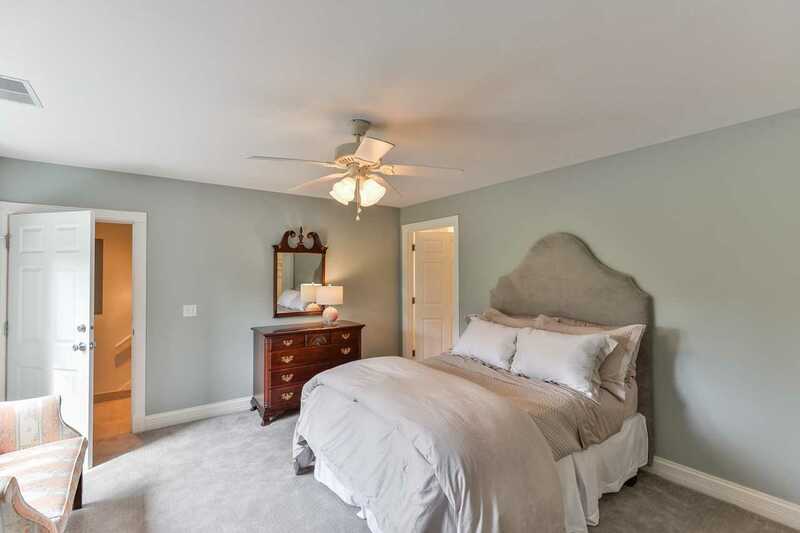 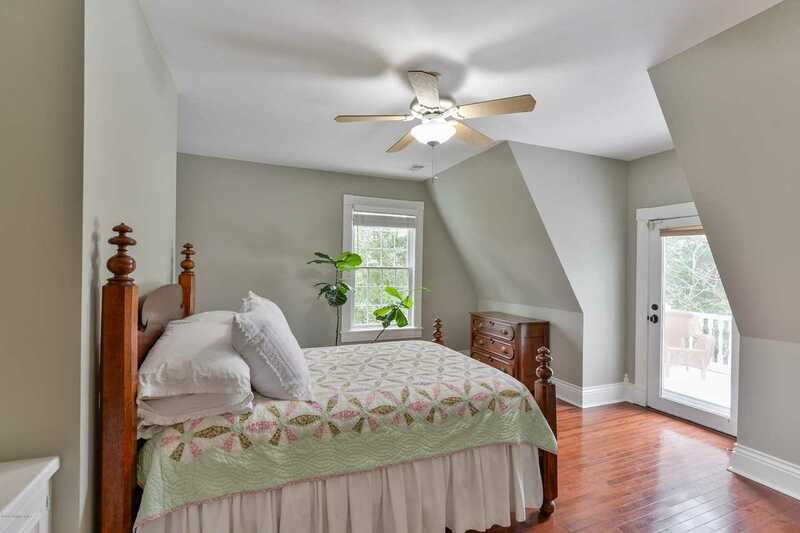 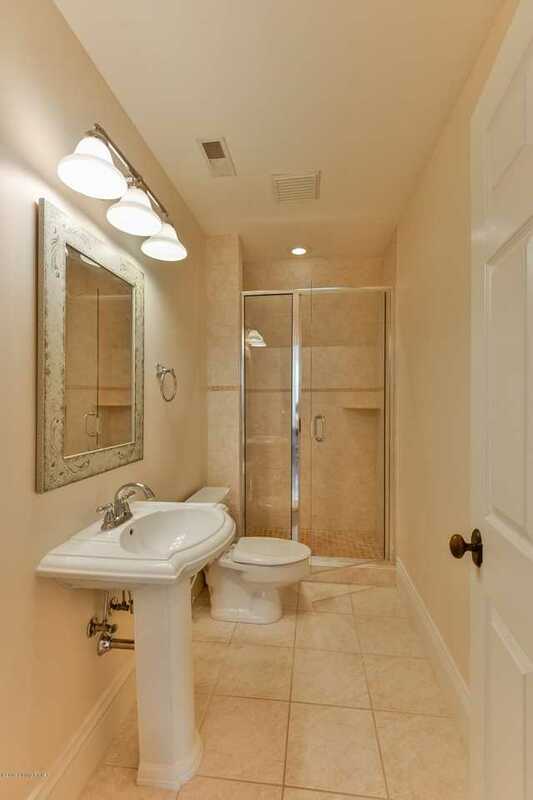 The first floor Master Suite boasts a sitting room or office, and a bathroom with high end finishes. 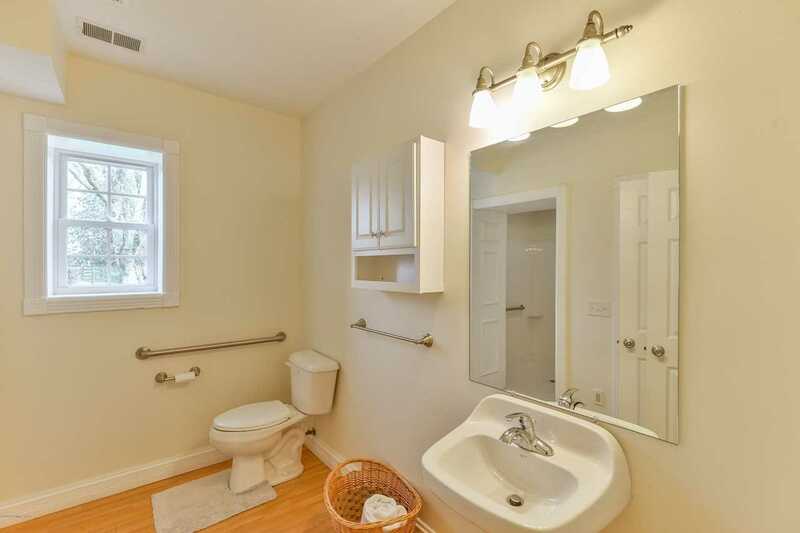 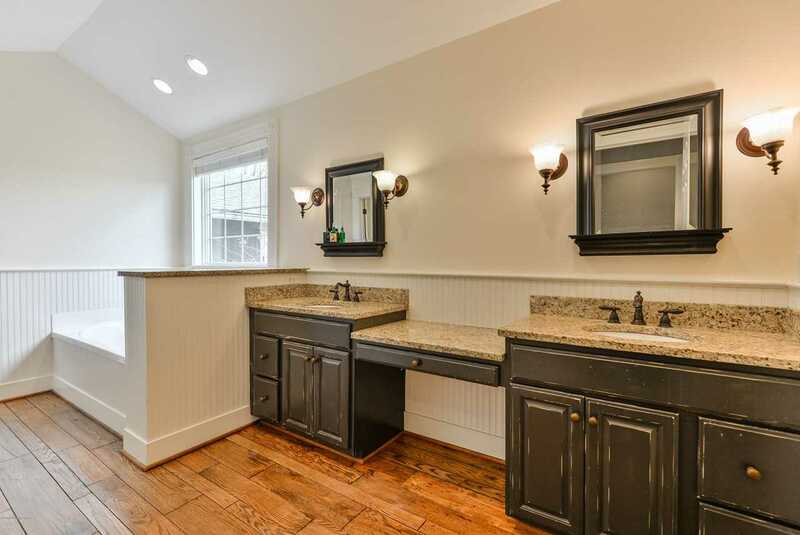 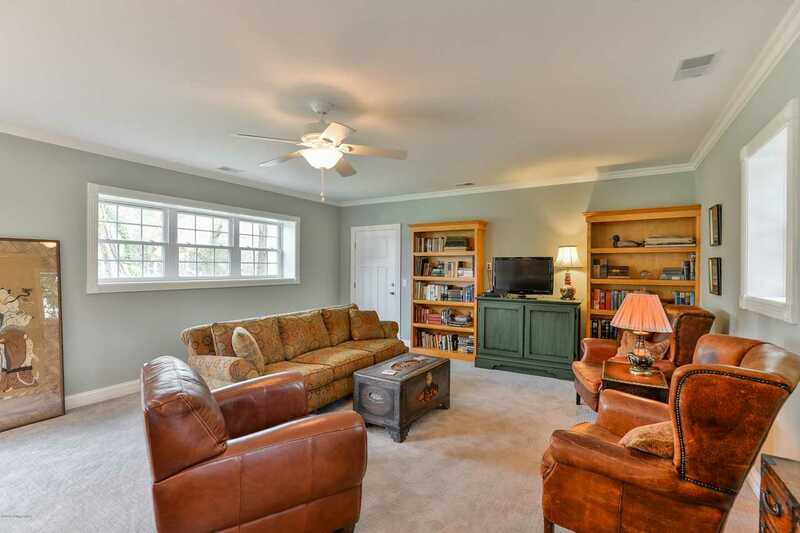 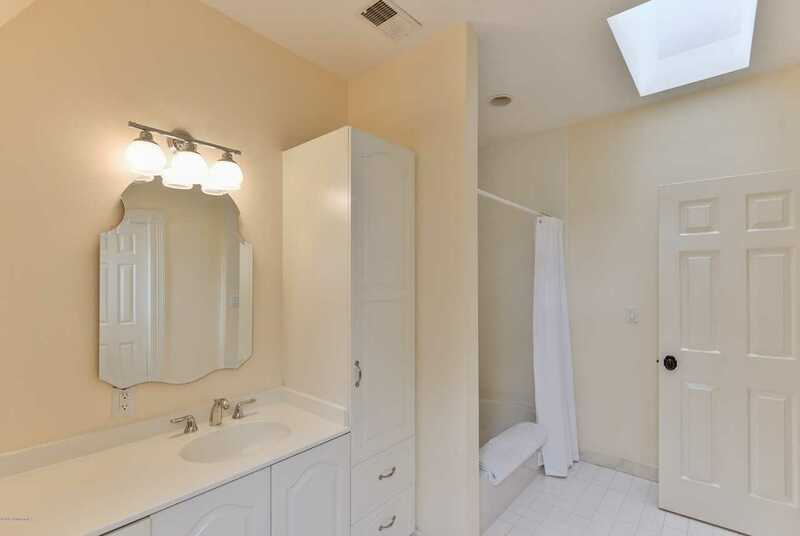 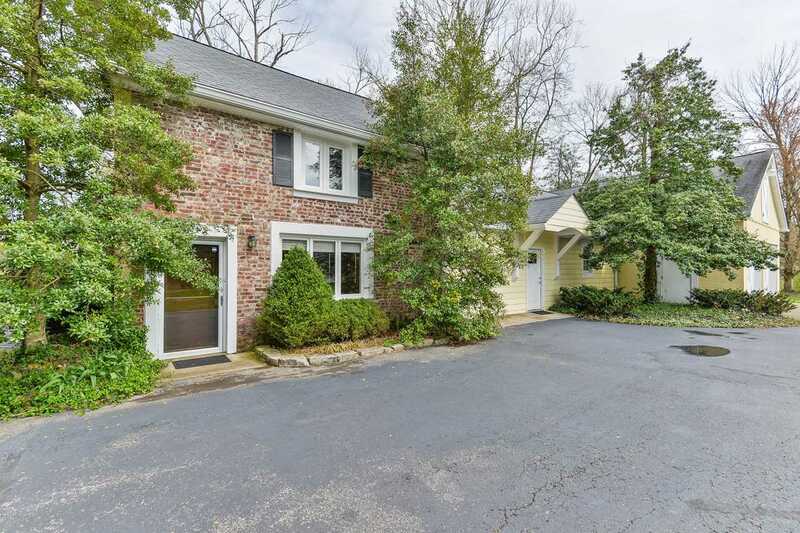 4 additional bedrooms and 2 full baths are on the second floor of the home. 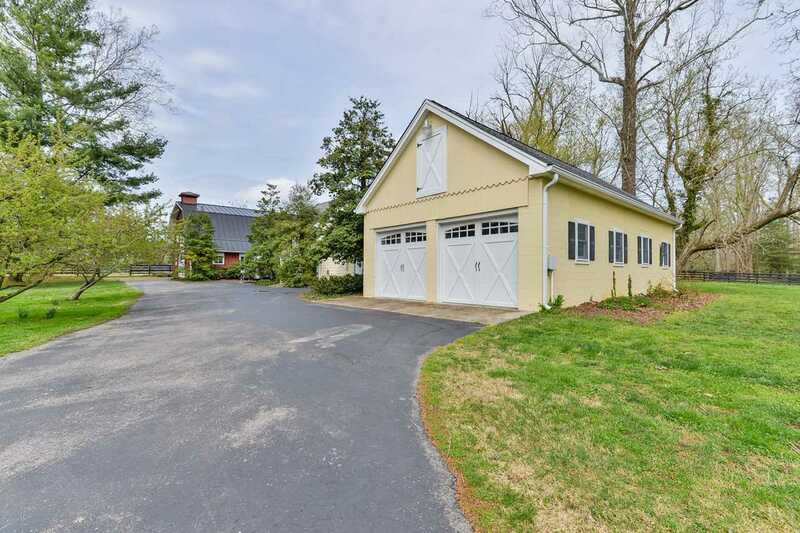 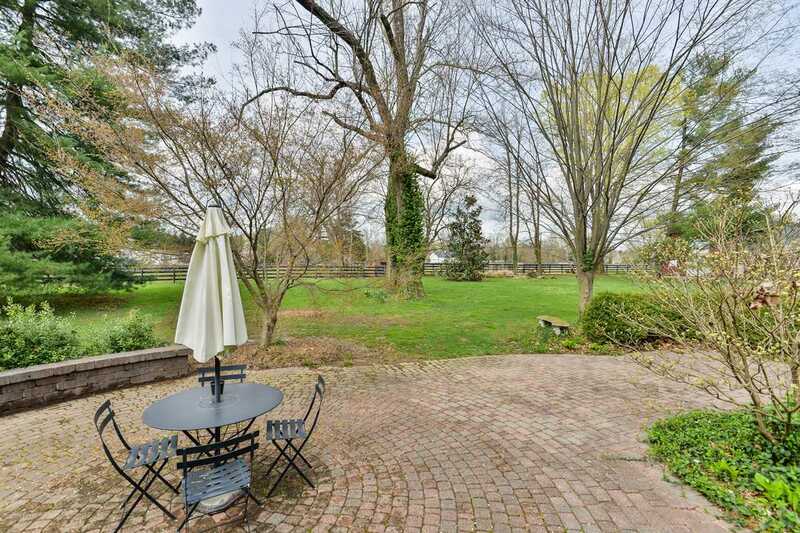 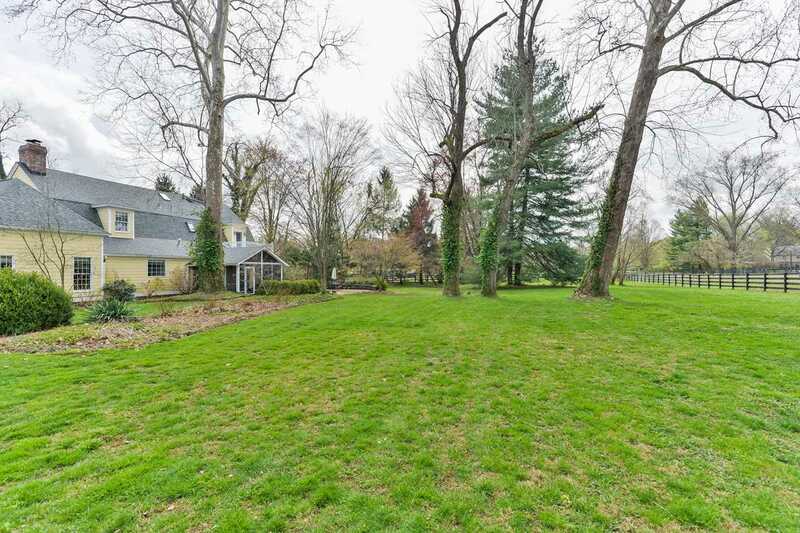 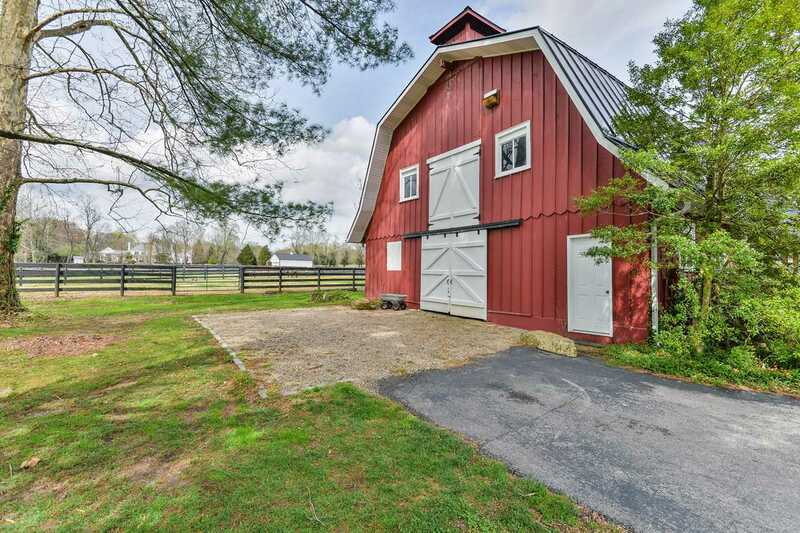 The detached 1,200 square foot Carriage House on the property offers 2 bedrooms, 2 bathrooms and additional living space that includes a full kitchen and a great room that would be perfect for in-laws or your Derby guests. 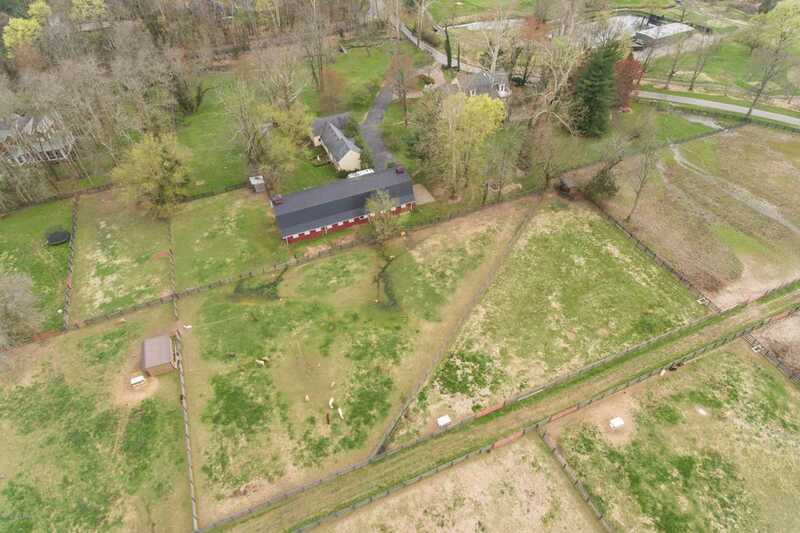 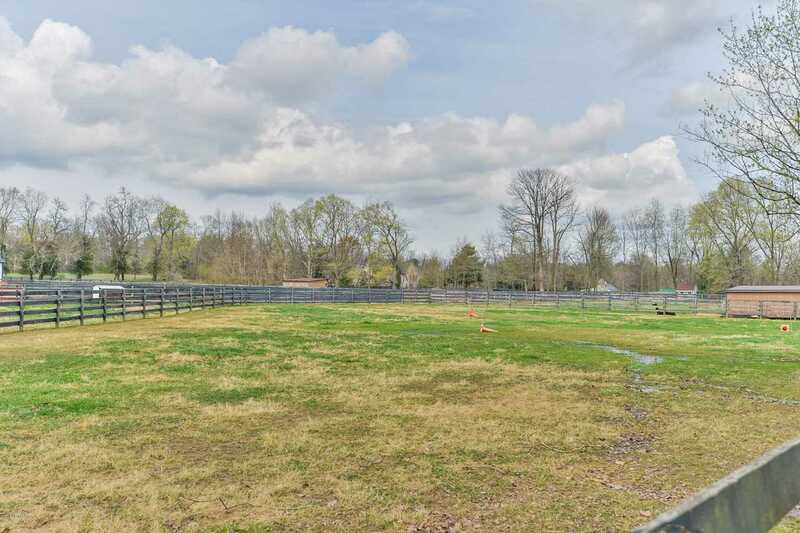 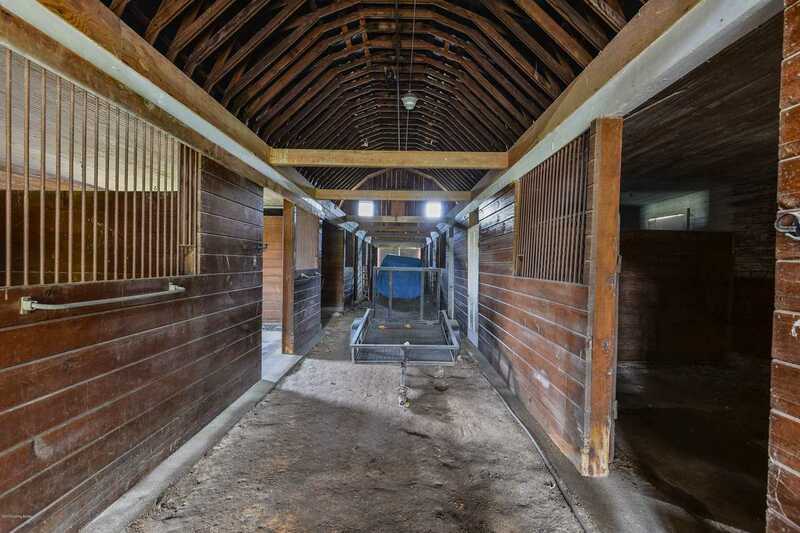 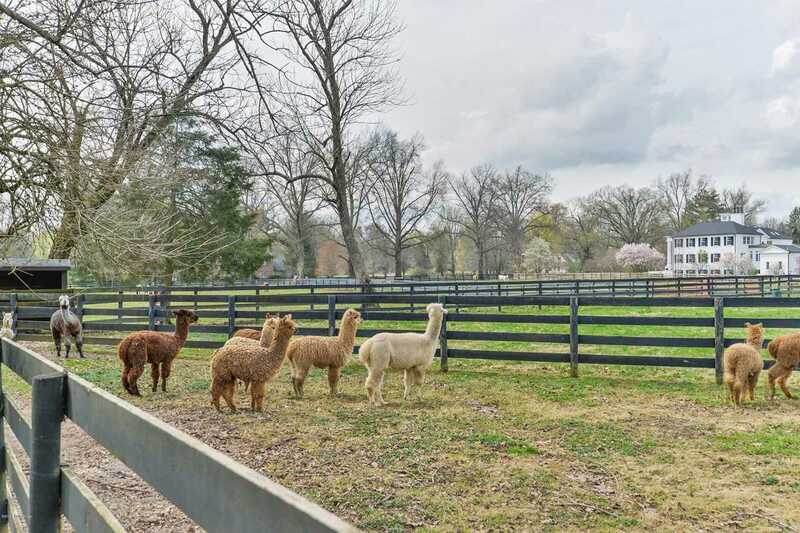 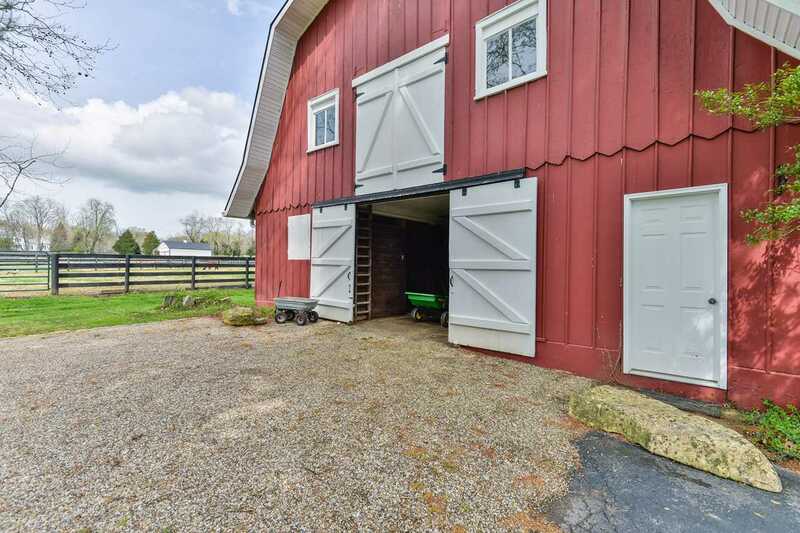 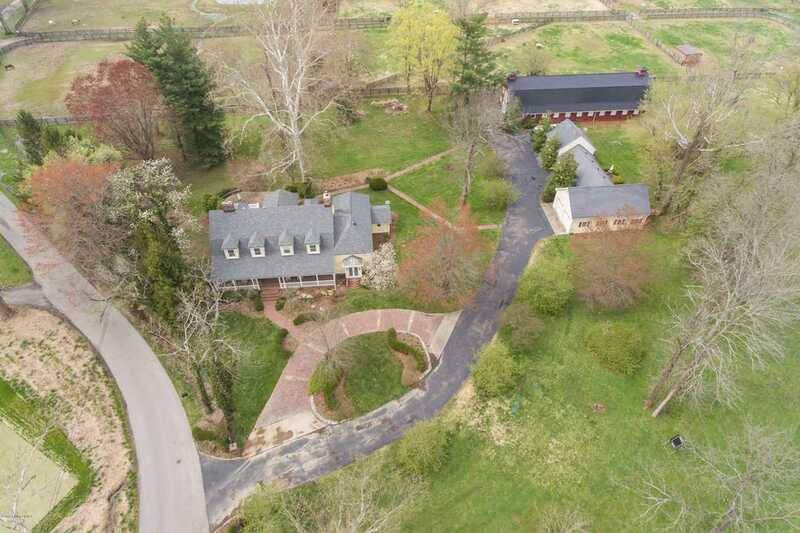 This is the perfect Gentleman's farm that includes a 10 stall barn with an office and a half bath and pastures large enough to raise chickens, horses, cows or pigs. 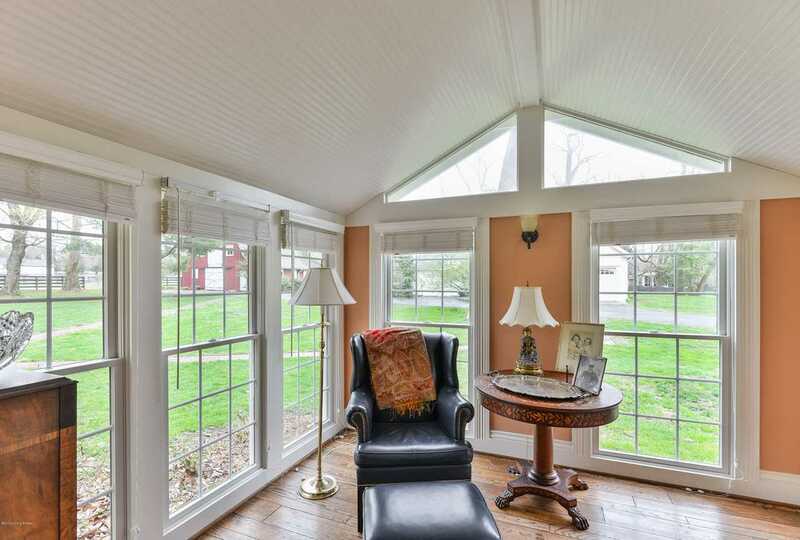 Anchorage is known for its tree lined streets and this property is no exception, with crab apple trees lining the driveway and other mature, diverse trees. 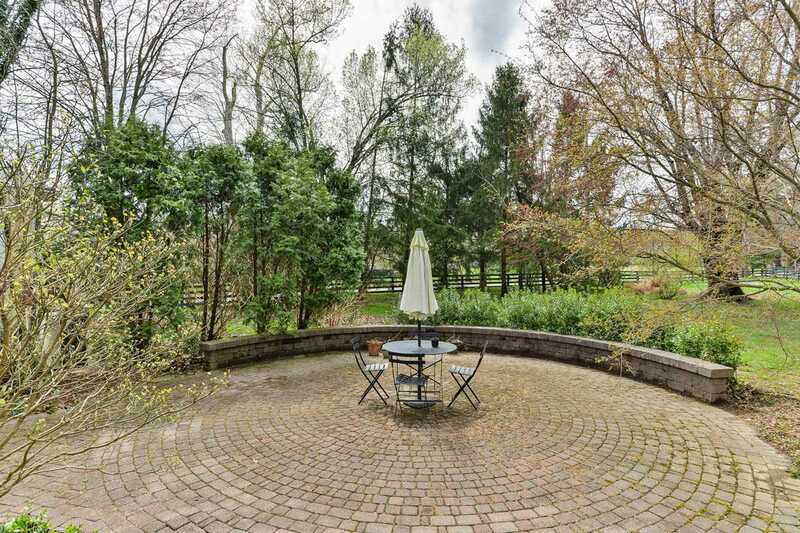 This immaculately maintained and completely updated home is surrounded by a park-like setting and is truly the best version of country living in the city. 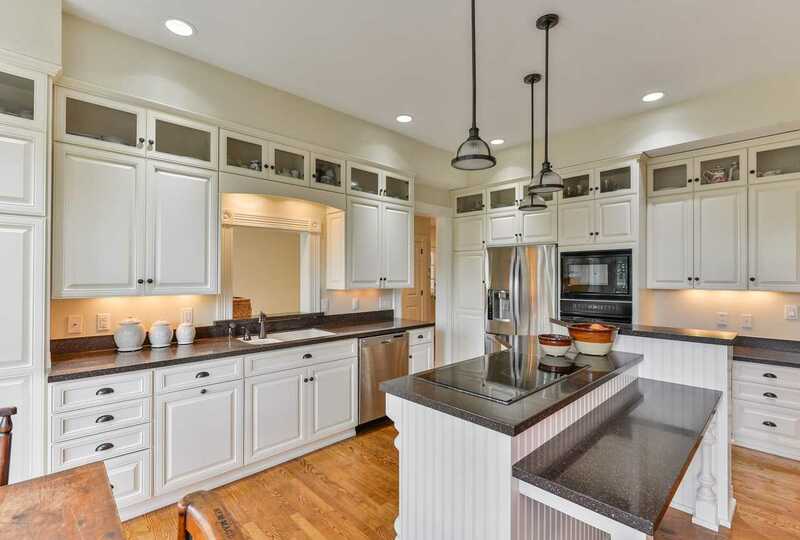 The location is exceptional, with views of rolling fairways and greens from Owl Creek Country Club's golf course and a front row seat to the town's Fourth of July firework show. 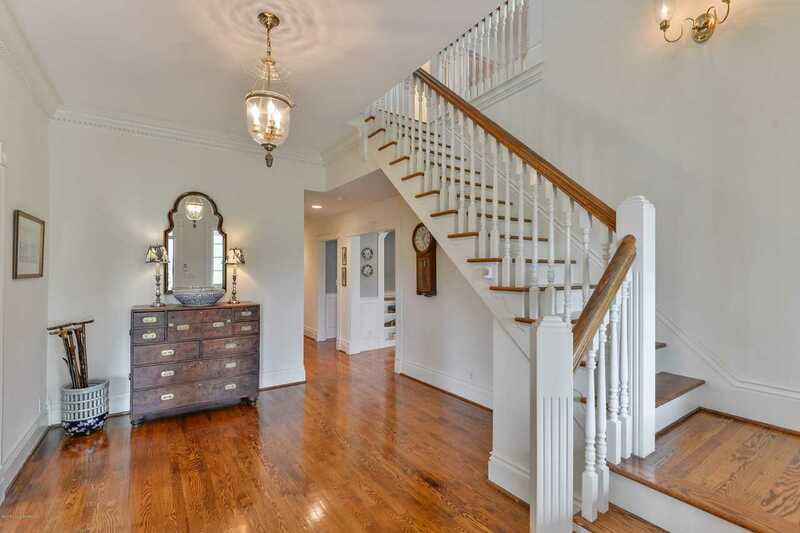 You will quickly fall in love with this unique and special Anchorage estate.